At Right at Home in Salt Lake City we strive to provide happiness and joy in all of those who we serve. We take the time and concern to make sure that we have the right caregivers with the right clients. We truly feel that if we put that extra time and effort into the people who we are supporting, that we can absolutely make this world a better place. 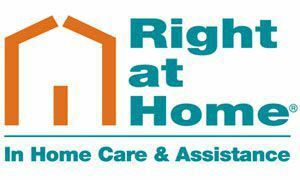 Right at Home West Jordan has many amazing qualities that separate us from other In-Home Care agencies. For many people, our in-home senior care is the best solution for maintaining a healthy lifestyle and loving relationships. Whether a family member needs a little extra help around the house, assistance recovering from a hospital stay or someone to check in on them throughout the week, Right at Home West Jordan can be the perfect solution. We customize our care services, so your loved one always gets the special care they need based on their individual needs. Not only do we make sure we have the Right People, but we always take the Right Approach, we make sure we are providing the Right Services, and that we have the Right Mission which is “Improving the Quality of Life for Those We Serve”. All of this, is to make sure that wherever we are, and whatever we do, you and your loved ones will feel Right at Home.